If you’re looking for drama between Cardi B and Ariana Grande you’ve come to the wrong place. But if you’re looking for drama between Cardi B and all of Twitter, welcome, please settle in and find some popcorn. 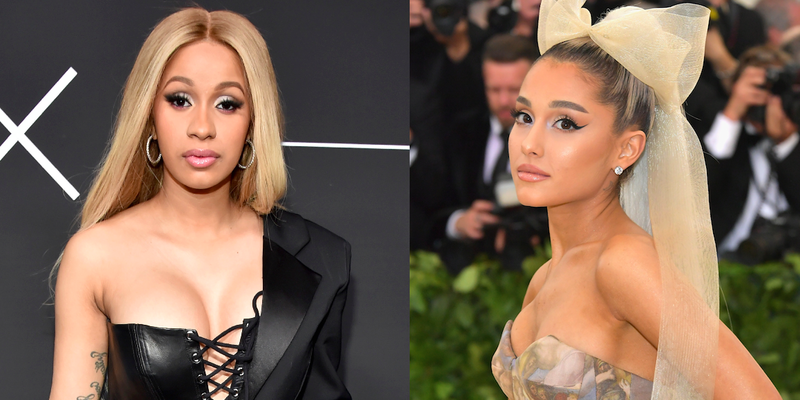 Over the weekend, a screenshot started making the rounds that appeared so show Cardi B liking an extremely rude and troll-y Instagram post insulting Ariana Grande’s relationship history. The post seems to have come from a Nicki Minaj fan page trying to start drama, and is 100 percent not real. Meaning that no, Cardi didn’t like it, a fact she confirmed with a salty tweet. Welp, that settles that. Ariana might be friends with Cardi B’s resident rival Nicki Minaj, but that does not mean Cardi’s out here liking hateful posts about Ariana on Instagram! This has been an update.